While at Pearson Airport, in Mississauga, Ontario. I met a woman who was planning to travel to Greece, to attend her husband’s grandmother’s funeral. Her husband had already gone to Greece where he expected his wife and young child to follow. He even wrote and signed a letter of consent allowing his daughter to travel with her mom (without him). However, there was a problem. The letter was not notarized. Upon reaching the checkpoint, security prevented his wife from entering. She was told that she needed a Notary Public to notarize the document. Without notarization, she would not be allowed to leave the country with her daughter. The mother was dressed in black, crying and begging the guard to let her in. She was told that she had two choices: stay home, or leave without her child. Obviously, she didn’t like either option. I told her that I was a Notary, but I could not notarize the document without witnessing her husband’s signature. She had to delay her trip while she found someone to care for her child. Walk-In Notary can help. If you need a Consent to Travel Letter, we can draft one for you, or notarize one that you draft. However, we need you to be present at the time of notarization so that we can witness your signature. Have questions? Give us a call at 905-366-4356, or email us at info@walkinnotary.com. We are often approached by doctors and other medical professionals with questions regarding their annual renewal of their “Certificate of Authorization for a Corporation to Practise Medicine”. They don’t know where to get their statutory declarations notarized, how to get certified true copies of previous certificates of corporation, or who can perform these services. Walk-In Notary can help. We are centrally located, near Square One, in Mississauga, Ontario and we regularly deal with these documents. Simply fill out the Statutory Declaration with the information which the College of Physicians requires, bring the original documents (if any certified true copies are required) and come right over. We provide a walk-in service and can have your notarization done in just a few minutes. Have questions? Give us a call at 905-366-4356 or email us at info@walkinnotary.com. Planning to get married abroad? Many countries require a “Statutory Declaration of Marital Status” or “Single Status Declaration” before you can marry in that jurisdiction. You might also be required to provide certified true copies of birth certificates, passports, marriage or divorce certificates, as well as any number of other documents which your destination will need before granting your permission to continue. A big issue is that many countries require evidence that you may legally marry – that you are single, or legally divorced. It is always a good idea to speak with the consulate/embassy of the country in which you plan to marry, as well as your travel agent to ensure that you comply with all related rules and regulations. We can help. We can quickly certify true copies of required documents, as well as notarize your statutory declarations. Come right over. No appointments are necessary and your documents can be done in just minutes. Don’t have a statutory declaration? We can draft one for you on the spot. We regularly deal with these declarations and would be happy to help you. Have questions? Give us a call at 905-366-4356, or email us at info@walkinnotary.com. We are participating in the Mississauga Food Bank food drive. Please bring us your non-perishalbe food items (e.g. peanut butter, rice, cereal) and Walk In Notary will donate the food to the Mississauga Food Bank. In addition, Walk In Notary has pledged to donate $2 to the Mississauga Food Bank for every food item that you drop off at our office. Let's help those in need during this holiday season. Many of our clients are very happy that we are so centrally located. Our office is at 4 Robert Speck Parkway, suite 1500, Mississauga, Ontario, L4Z 1S1. We are at the corner of Robert Speck Parkway and Shipp Drive, just east of Hurontario and Square One mall. If you are taking the 403, exit at Hurontario, go south until you reach Robert Speck Parkway and make a left at the lights. We are on the right side (north side of the street). There is plenty of parking in the front of the building and we are wheelchair accessible. We want to to be your go-to Mississauga Notary Public. Have Questions? Give us a call at 905-366-4356, or email us at info@walkinnotary.com. 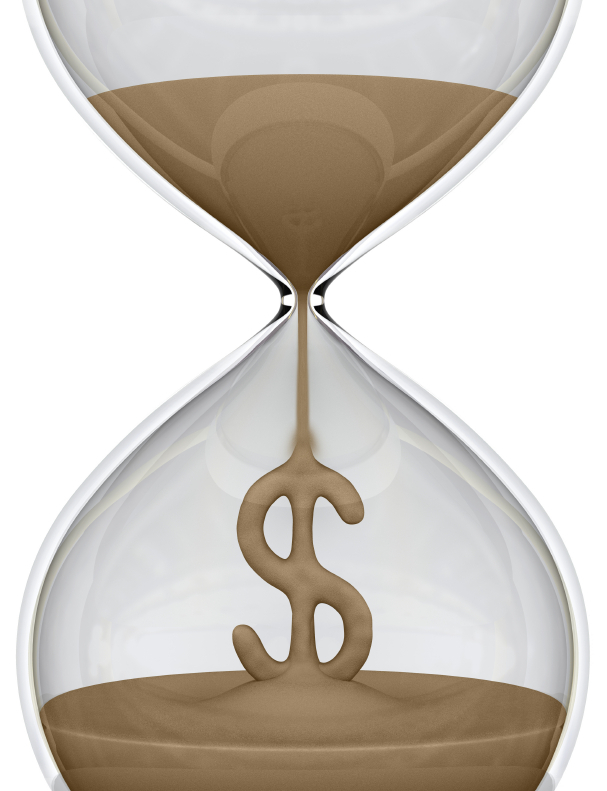 People often ask us how long they’ll have to wait to see a notary and how long it takes to have something notarized. The short answer to this is “not very long at all”. The more detailed answer is this: because we offer a walk-in service we cannot predict when clients will attend our office and how many will attend at any given time. That said, we crunched the numbers and found that on average a person waits in our lobby for 32 seconds. The average amount of time that it takes to notarize a document is 4 minutes and 27 seconds. Keep in mind that this is an average. Depending on how many documents you require to be notarized, the amount of time can be twice or three times as long. Walk-in services, such as a walk-in medical clinic, are usually associated with long wait times but this is not the case here at Walk-In Notary. We understand that your time is valuable and we do our best to provide you with a very fast service! Most clients are actually surprised by how little time it takes to have their documents notarized. We pride ourselves on our ability to do this. The reason we can do this is that we have notarized thousands of documents over the years (probably more than any other notary in Canada) so there is nothing that can surprise us. We can analyze your needs almost immediately and deliver a fast and professional service.